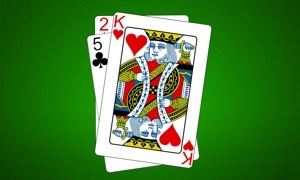 Solitaire Deluxe Social has Guaranteed Winnable solitaire hands... updated daily! From the most trusted brand in Solitaire, Solitaire Deluxe® Social is the new, premium solitaire experience handcrafted for your iPad and iPhone. 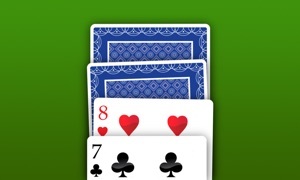 Solitaire Deluxe Social is the only leading solitaire app to give you 16 solitaire games for free, including all of the most popular forms, and tutorials to help you out. The exclusive Currents feed in Solitaire Deluxe® Social even lets you check Facebook while you play. See updates from friends, family, celebs, news channels and more… all while playing the 16 most popular types of Solitaire. And it’s brought to you by Mobile Deluxe, the U.S. company specializing in mobile solitaire since 2003. -Play with friends on Facebook and GameCenter, or play solo. 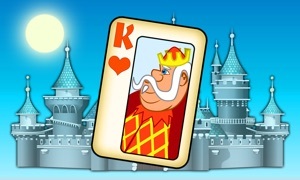 -Draw 1 and Draw 3 Klondike… plus 15 others like Spider, FreeCell, and Tri-Peaks! -Exercise your brain: Best-in-class tutorials for all 16 games. Solitaire Deluxe Social is the only leading solitaire game to offer Klondike (classic solitaire), along with the 15 other most popular solitaire games in the world, including Spider, FreeCell, Tri-Peaks, Pyramid, Canfield, Golf and more. 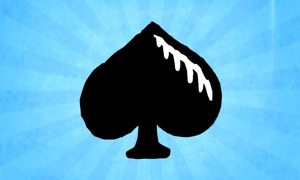 All of your solitaire favorites, and all with simple tutorials.